At Expert Locksmith Services, we consider locks change always as the ultimate step for our residential and commercial clients. If another alternative is present, we will never use replacement. Still, in spite of our best efforts, it might become an inevitable process, especially when damage relates to the integral components of the lock. When this happens, you can depend on us to offer you only the best available market choices. We have a great network with manufacturers and top suppliers. This means getting the specific model for your home or office is going to be easy. For all your lock change needs in Pomona, CA area, you can rely on us! What might be the various reasons for locks change? Replacement of locks - how long does it take? In a way, the time required by our team for locks change will depend upon you. The faster you are able to give your specifications or approve based upon our advice, we will be able to proceed. We have networked with brands and manufacturers to procure locks and offer you on the spot locks change. We have ready mobile vans equipped with everything and even lock replacements that you might require. If you communicate the same to our help desk, we can bring it with us to your doorstep. Otherwise, our team will be there to examine the situation and based upon the recommendations we give, the new locks will be installed quite quickly within 20-30 minutes. Some factors that might affect the time, including the existing lock mechanisms and the replacement model. If the locks change is going to be with the same model, it is easier because priming of the door for insertion is already there. Otherwise, we'll have to make slight modifications to accommodate the new type. You might call our experts for locks change anytime of the day or even during the night. 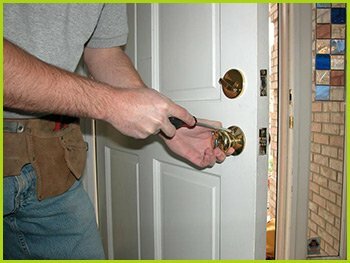 Emergency lock replacements are nothing new and we have handled them with expertise many times. To know more about what we can do, call our helpdesk on 626-391-3768.